Half Day Ubud Tours is a Bali Highland Half Day Tour package and the most choices for short trip visiting tourist destination in Ubud village. Is perfect choices for those don’t have much time during the holiday but want to explore interesting place in Ubud Village, this tour is suitable for you. Ubud is famous around the world for home of the best craftsmen from stone carving, wood carving, gold and silver crafting, fine art, museum and art galleries. Lot some visitors for around the world come to Bali and visit Ubud to find artistic treasure and visiting the amazing panorama view. Many other interesting places may be found in Ubud area which tends cooler during the days and vibrant with Balinese culture year-round. 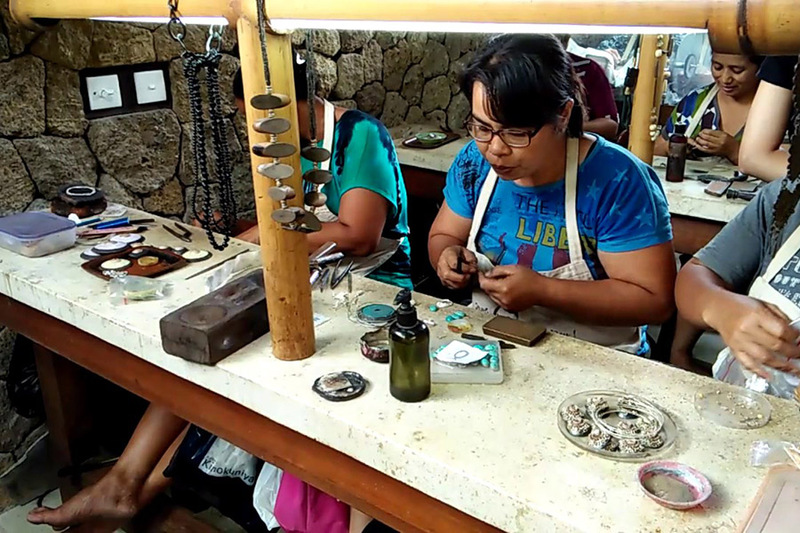 Celuk Gold and Silver Art Village is the famous village in Bali as a tourist destination cause of the local residents is very proactive and full of innovation to the gold and silver crafting. The gold and silver items crafted here are of high quality and feature unique and elaborate designs as the craftsmen are known for their skills and their industriousness. Ubud Batuan Temple is a beautiful Hindu temple set in the middle of Batuan Village, located beside of the main road from Denpasar to Ubud. It is a local village temple and a part of three major temples in a village that is called Tri Khayangan. 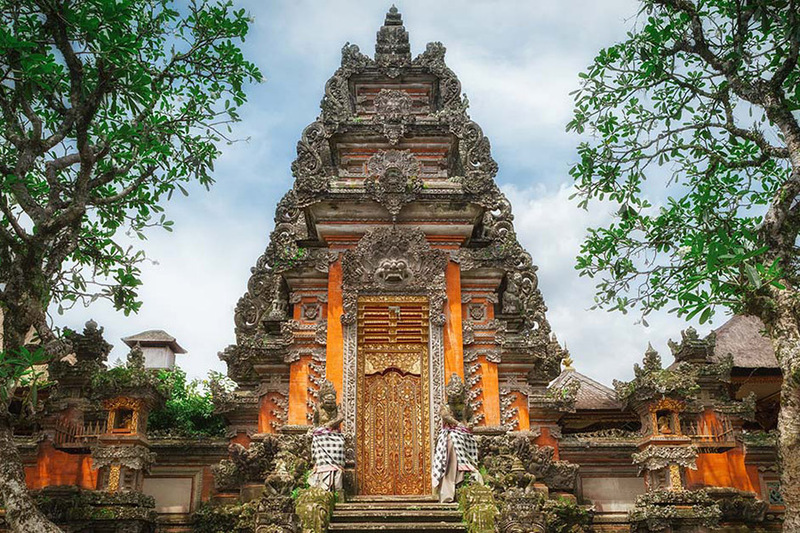 Batuan Temple is beautifully designed with Balinese architecture and antique Balinese ornaments décor entire temple building including the entrance gate. 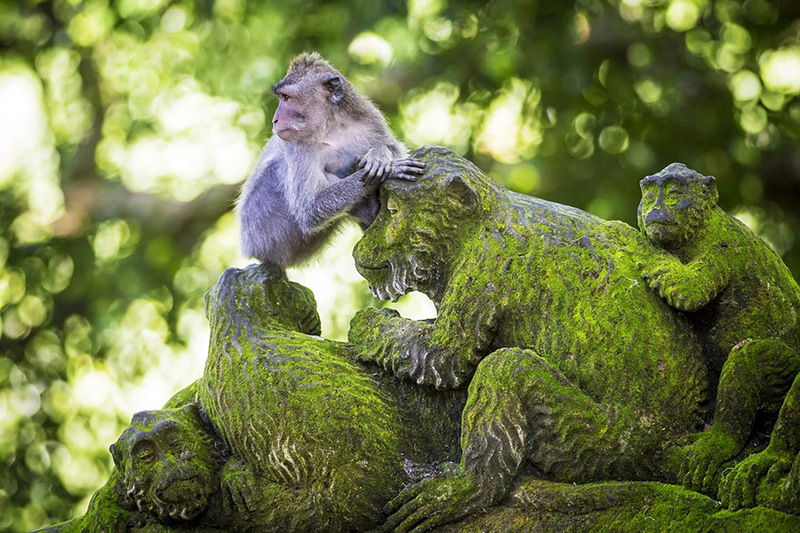 Ubud Monkey Forest is a nature reserve and temple complex in Ubud, Bali. Its full name as written on a welcome sign is the Padangtegal Mandala Wisata Wanara Wana Sacred Monkey Forest Sanctuary. The complex houses approximately 605 Crab-eating Macaque. Ubud Monkey Forest Is very easy to find this place since it is located in the hearth of Ubud Village.